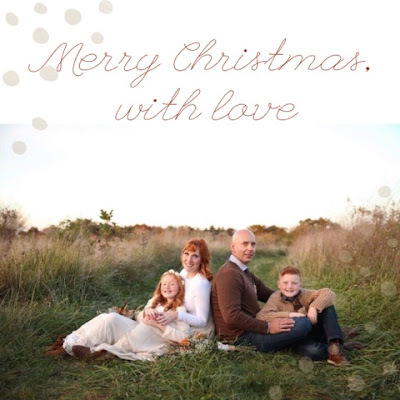 raising redheads: How to celebrate Christmas with a broken heart. How to celebrate Christmas with a broken heart. How does one celebrate Christmas with a broken heart? The answer, I believe, is to let it just be broken. Maybe, to simply stand in the middle of the kitchen floor and let the weight of grief seep from all the spaces of every. single. crevice that feels the ache and longing all year long. Maybe the key is to almost imagine it, visible beneath you. Sticky, slimy, weighted. Or maybe it's light like a puddle; one that you can splash in or wade through. Maybe, as the grief drips from your bones, the broken spaces all throughout your body begin to feel nourished, like a fresh rain after a long drought. My bones remind me now of a dry canyon, one that is longing for it's water to fall, hard and fast in the vastness beneath it. I think that it is important to let the dried up, untouched places within us be saturated by the healing that comes from the power of allowing ourselves to just be broken-hearted. So many times we want to heal our minds, our spirits, our bodies from this pain that is etched within us. But there is no healing from great loss. There is no fixing this. The child we loved is gone. The brother we lost is not coming home. The mother we miss will always be missing from us. Those truths are within us and deserve to be recognized, reckoned with and accepted. Jesus said, "Blessed are those who mourn for they shall be comforted." Their broken hearts will be touched by the hand of the Father Himself. But first we have to let ourselves be the mourners. We have to accept that that is just who we are now and that does not mean we are not also whole, but it does mean that our hearts are also forever broken. At Christmas time, of all times, I believe we should unwrap our grief like the great gift that it is and snuggle it close. It is the one sacred, and personal, and intimate gift that no one in the world can ever duplicate or recreate for us. It belongs to you; the only one who can feel it, know it, and own it. That is what makes grief beautiful and powerful. The semblance of it being yours and yours alone. I have unwrapped and continue to hold close my broken heart as I walk gently with myself through this second Christmas without Mabel. Her absence is felt in all that I do. Her laugh and her cry resonate at the base of my entire body, reminding me that she was alive and that I still am. As I walked through our home yesterday, adding the finishing touches that make it feel like Christmas, I made Nora's bed as I do every day with the quilt that once covered her sister's. I breathed deep and felt the air rush from my mouth, down my throat, into my lungs and through my entire body. I feel life in the depths of who I am. I feel her in everything I do. This Christmas, take your broken heart and make the beds. Open gifts, laugh with your family, eat good food. Be alive. Be broken. Be both because...you are. "Be alive. Be broken. Be both because...you are." Oh Ramee. How desperately I needed to hear that. Merry Christmas, to you and your babies, Earthly and Heavenly.